The first documented discovery of gold in the United States happened right here in Cabarrus County when 12-year-old Conrad Reed discovered a 17-pound gold nugget in Little Meadow Creek. After using it as a doorstop for three years, Conrad’s father, John Reed sold the nugget for $3.50 to a jeweler in Fayetteville without realizing its value. Upon his return, he and three friends began searching the creek bed for gold, effectively starting the nation’s first gold rush about 50 years before the one in California. 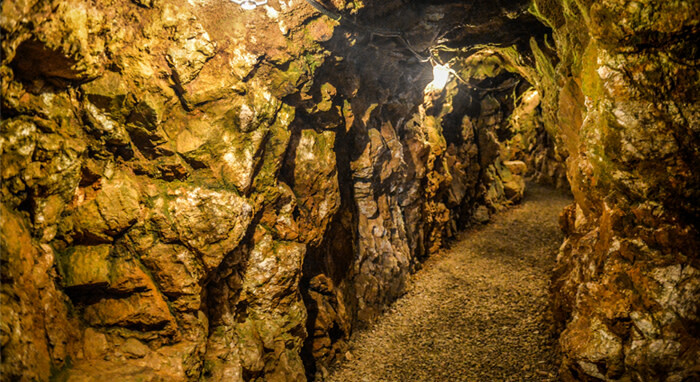 Today, Reed Gold Mine State Historic Site is the only underground gold mine in North Carolina open to the public. Experience the mine’s history by panning for gold (April-October), exploring restored portions of underground tunnels as part of a guided tour and viewing exhibits of gold and historic mining equipment. Walking trails are also available onsite. 2019 season of panning begins March 23rd, 2019.